Guitarists in search of a high quality guitar effects pedal may be interested in a new creation called Fuzz Out that has been created by teh uniquely named Ohm Made Electronics company. 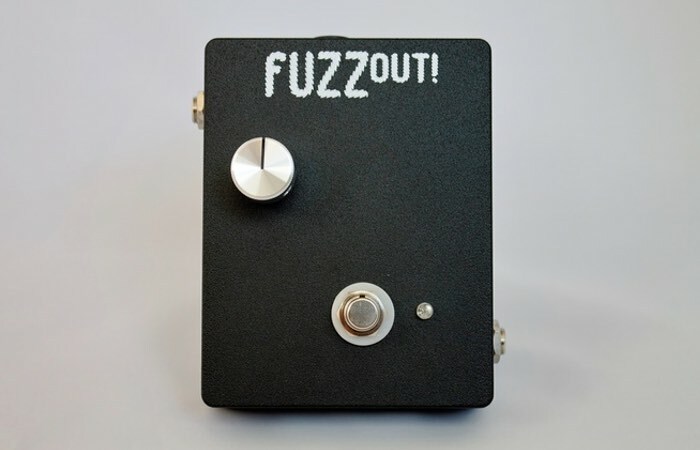 The Fuzz Out guitar effects use premium parts and is constructed in the US and has this week launched on Kickstarter to raise the $9,500 team requires to take their new guitar pedal into production. The team would like to create 100 limited edition guitar pedals to provide guitarists with a quality product that is currently not available. The team behind the Fuzz Out explain more about its inspiration and unique design. • Each pedal is hand-wired on turret boards that we custom make here in our shop in Leavenworth, Washington. That means there are no PCB’s in the FUZZ OUT! • There will only be 3000 FUZZ OUT! pedals built each year. • 90% of the parts that make up the FUZZ OUT! are made in Canada, Mexico and the United States. We are trying to reduce the impact long-distance shipping has by sourcing our materials locally. • Parts were selected based on tone and durability. We prescribe to the theory that quality parts make a quality product, and we take pride in the products we make for you to enjoy. A lot of time was spent researching component values and construction to produce the highest quality product. • The FUZZ OUT! circuit is influenced from two vintage plug in units; A British distortion circuit and an American fuzz circuit combined to bring you a uniquely compressed fuzz tone that has a rare vintage flavor to it. • Parts will be ordered the day the goal is met, allowing ample time for manufacturing and holiday shipments worldwide. • Help support local small businesses and American made goods this holiday and get Fuzzed out with Ohm Made Electronics! For more information on the new Fuzz Out guitar pedal jump over to the Kickstarter website for details.